The article will teach you how to remove the piece of software that harbors multiple security holes from a Mac. Given considerable security vulnerabilities in Java, it stands to reason to remove it from your Mac. Additionally, regular software update prompts generated by Java cannot be considered a pleasant feature of the user experience. That is why the complete removal of the software is an important dimension of the security strategy deployed by savvy Mac users. The total uninstallation of Java will prevent it from reactivating in the feature. Enter a user password and press the Return button (if Mac automatically logs in a preselected user, hold the Shift button during the startup and release it after the login screen is displayed). 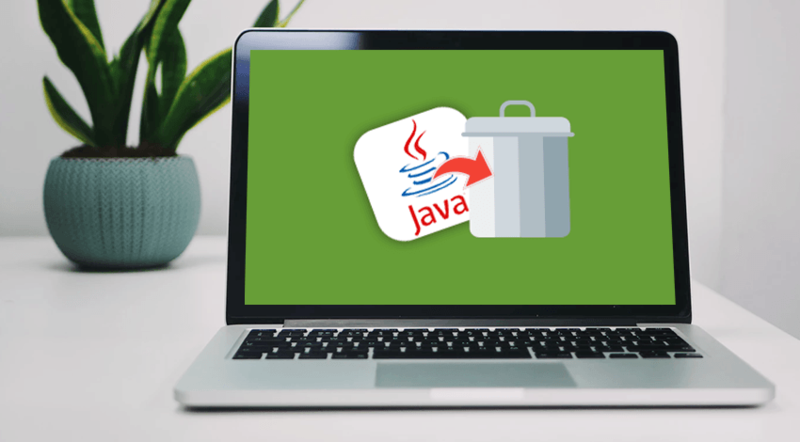 To properly remove Java from a Mac, one has to manually delete a host of files associated with it. Such files are scattered around multiple directories, which considerably complicates the task. It should be noted that to prevent adverse consequences of the inadvertent deletion of important files from the system directory, a Mac should be backed up with one out of four methods: online, live, local, and incremental. Note that the authentication with sudo will be necessary to execute these commands. Those Mac users who are presented with the need of developing Java applications, instead of simply running them, install Java Development Kit (JDK). In addition to launching all applications with the .java extension, Java JDK features tools for compiling, interpreting, documenting, and archiving the source code. The tools are operated with command prompts, which makes the development process speedier and more efficient. In case you do need to leave Java on your computer, the recommended course of action is to isolate it to the fullest extent. In this way, the application runtime environment will be available for the future use. However, the isolation will substantially increase the security level of your system, thereby making sure that individuals with malicious intentions do not use loopholes in the software’s code to access your passwords as well as credit card and private information. In the Plugins pane, uncheck the Java Plug-In box. Note that the current versions of macOS can re-enable Java in a month, which is why it is recommended to opt for the complete removal.